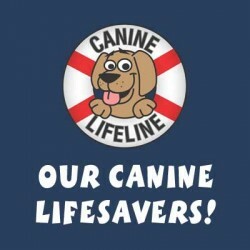 April is National Heartworm Awareness Month and Canine Lifeline is participating by bringing attention to this disease in Northeast OH AND by raising money to save the lives of heartworm positive dogs facing euthanasia in shelters. Purchase raffle tickets for 12 of our fabulous “Have a Heart” gift baskets. Tickets are $1 each, 6 for $5, 13 for $10, and 30 for $20. Also up for raffle is a $500 Visa Gift Card. Raffle tickets for this prize are $5 each or $50 for 11. Tickets will be available for purchase at all of our upcoming events from now through June 3rd. 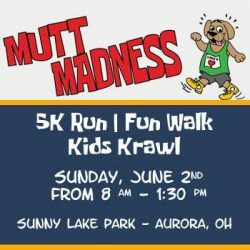 The winner will be drawn at the conclusion of our Mutt Madness 5K event on June 3rd. The winner does not need to be present. Listed below are details on all of our raffle baskets. You may also download the flyer to show family and friends. #2-Scratch Your Way to Untold Riches! With $100 in Ohio Lottery Tickets. Value: ??????? Tickets are $5 each or $50 for 11 for the 2 baskets below. Basket A: $500 VISA CARD.